May we extend a warm welcome to the website for our dental practice. We take great pride in the quality of our dentistry and want to make your visits a pleasant experience. Our aim is good dental health for you and your family through preventive dentistry. This means giving you regular dental advice and helping you understand how to care for your teeth yourself to reduce the need for dental treatment. Conveniently located in the heart of Belper, it is easily accessible from surrounding areas, and is just a short journey from nearby Derby. The practice is a modern large sized practice, with ground floor surgeries enabling wheelchair access or for patient’s who struggle with the stairs. Our practice is a member of the British Dental Association Good Practice Scheme. 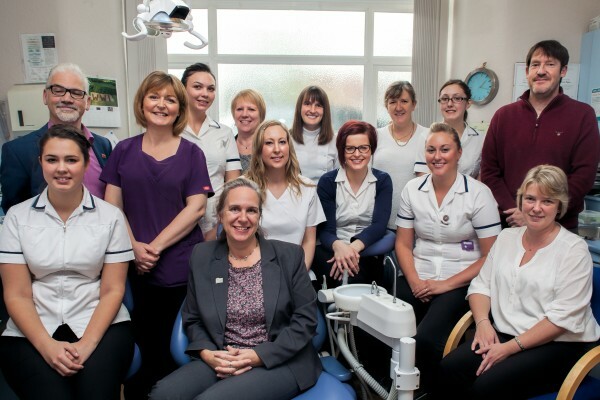 It is a nationally recognised scheme and demonstrates our practice is committed to providing quality dental care. We aim to provide a friendly practice and look forward to meeting you and your family. Children are especially welcome. Good habits gained now will last a lifetime.